Recently, I’ve been posting videos about childlikeness - how to protect it in our children and how to recover it in ourselves. We know that it is absolutely crucial because Jesus, Himself, said it’s the key to entrance and greatness in the kingdom. There are so many verses in the Bible that speak on imitation or mimicking. The person who shows imitation best is Jesus. “I only do what I see the Father doing.” Jesus was the ultimate imitator. When He followed His Father, like any child, He recreated the culture of His home. In His case He brought heaven to earth. In other words, childlikeness will change the world. Imitation is a key to childlikeness. 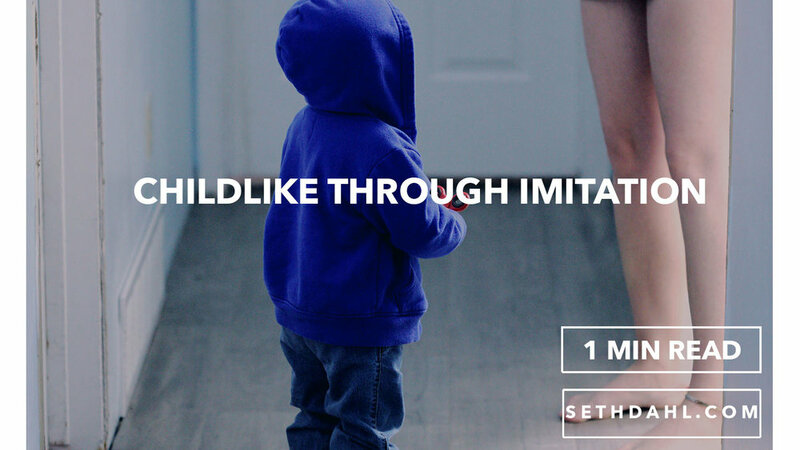 In order to be childlike, make sure you’re recreating the culture of your spiritual family, of leaders, heroes in the faith, and of course, the Father.